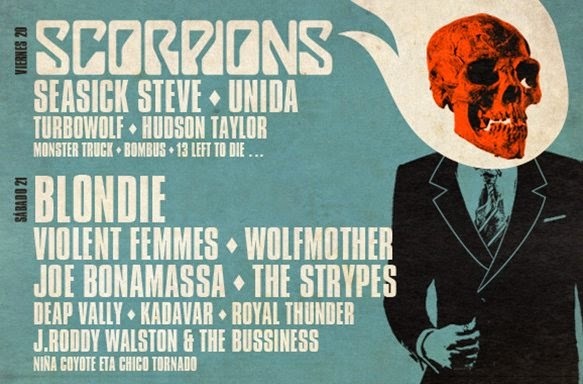 One of the most important Rock Festivals of the North of Spain will be hold in Vitoria on 20th and 21st June. The city will host top rock groups like Scorpions, Seasick Steve, Unida, Blondie or Violent Femmes. A great oportunity to hear these rock stars in a single scenario. Vitoria will be on Friday 20th and Saturday 21st June the Spanish capital of Rock Music.